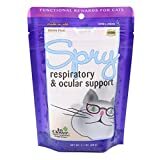 If your cat has a runny nose or discharge coming from the eyes, Lysine might help. Experts are divided on whether it really helps with herpes or not, but fortunately it has other health benefits too. Lysine is often prescribed by vets for the treatment of feline herpes, but it can be tough getting your cat to ingest it. 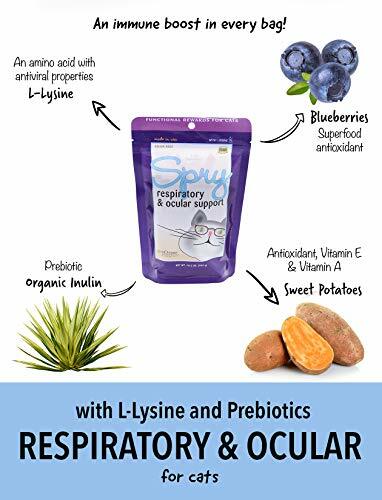 That’s why Lysine treats are popular – a spoonful of sugar helps the medicine go down! This comes with a chicken liver and cheese flavor. They’re quite large, soft, and don’t dry out. The only downside is that about 1 in 4 cats will refuse to eat them! Chicken liver flavor and contains 250 mg of lysine in each treat. It’s a bit tastier than the one from Petnology – this time it’s only 20% of cats who refuse it. 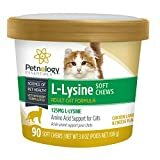 L-Lysine from Pet Natural's comes in a delicious chicken liver bite sized chew that cats love! 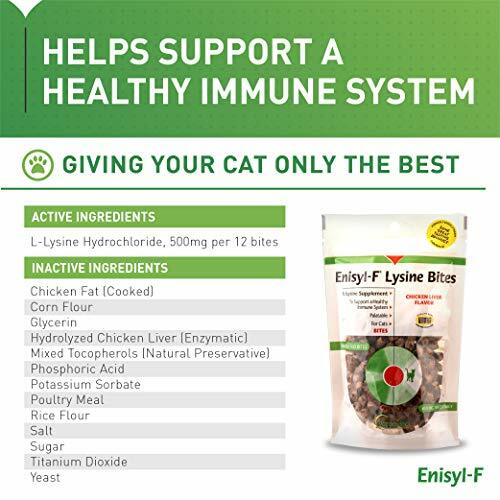 L-Lysine from Pet Naturals contains no wheat, corn or artificial ingredients. This used to be an outstanding product but a change to the recipe seems to have been a misstep. It’s still fine, but when you’re used to a certain level of quality it’s tough to accept anything less. The taste is better than the other two we’ve looked at. This was only a bonus option when we made this list a few years ago. Now that we’ve had more time to see it action we’ve promoted it to number 2. In Clover was founded by a biochemist and it shows – their products are bursting with nutritional goodness. No surprises here! 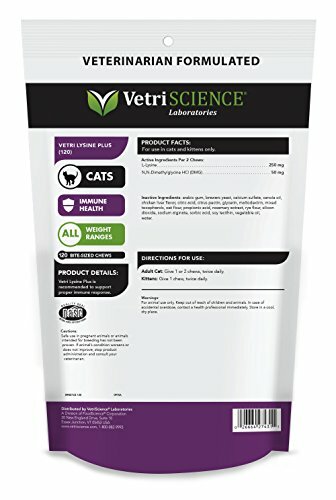 2 tasty chicken liver-flavored chew treats give 250mg of Lysine. 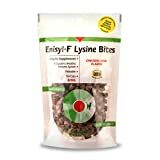 You might want to break the chews in half, though – first to let your cat swallow them better, and second to give the Lysine more chance to get to work. Only about 5% of cats refuse to eat them. It’s an almost perfect product!